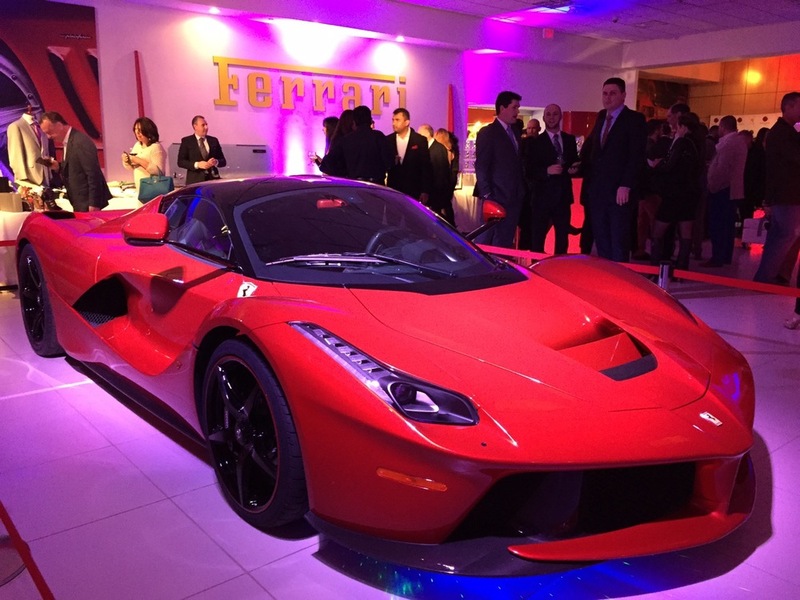 Ferrari of Central New Jersey hosted a VIP fundraiser for the Michael Fux Foundation, and we partnered with their event team to provide lighting for the event and fashion show. Michael Fux, whose family came to the US from Cuba when he was a teenager, earned his fortune in the mattress industry. He has amassed one of the largest car collections in the world, and leverages the popularity of that collection to raise money for charities, including the Miami Children's Hospital. He has donated millions to various organizations and created the Michael Fux Family Center, which provides the comforts of home to pediatric cancer patients and their families. To learn more about Michael Fux's entrepreneurial successes, here's a great article about him. We provided our LED Pixel Tube Display as a high-impact display over the runway. The LED pixel tubes can create slow, subtle effects as well as fast-paced night club inspired effects. They're a spectacular focal point and made a great addition to the modern, luxurious look of this event. Eggsotic Events is the only source for these unique pixel tubes for event applications. We provide the truss structure, programming and installation and can install, run and take down the entire setup in one day. It's a must-see for your next high end event. For the fashion show, we provided low-profile white lighting to illuminate the models and presenters. The LED tubes, light-up runway and white drape backdrop completed the look. Even with all the beautiful models there, the cars were the real stars. Ferrari had three cars on display: a Ferrari LaFerrari, a Ferrari Enzo, and a Ferrari California. We had a great time working with the warm, friendly team at Ferrari of Central New Jersey and we look forward to doing more fashion shows and car lighting in the future.